The world’s forests seem beset on all sides. Rising populations and improved incomes are increasing demands for forest products and services ranging from the traditional – food, fuel and timber – to more recently recognized needs such as biomass, bioenergy, nature conservation, recreation and health, as well as forest biodiversity conservation. “It is a great challenge to restore forest landscape in largely deforested areas.” Photo: John Stanturf. 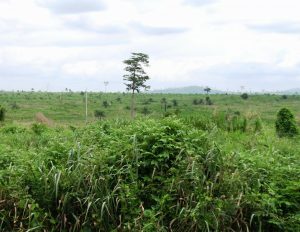 At the same time, those rising populations – and changing preferences, such as increased demand for meat and dairy products – lead to forests being cleared to free up land for agricultural and pasture purposes.